Join us on September 7 to discover your new career! 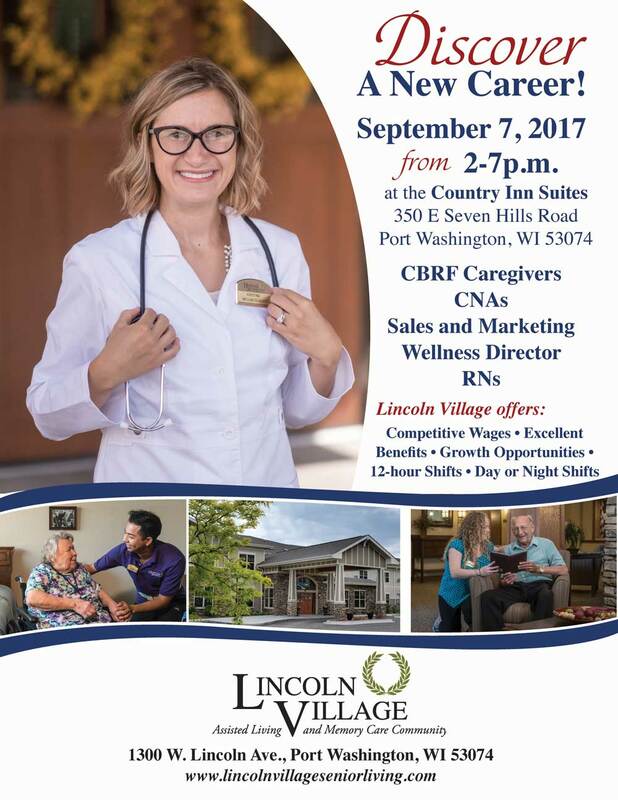 Lincoln Village is hiring CBRF caregivers, CNAs, a sales/marketer, a wells director and RNs. Lincoln Village offers competitive wages, excellent benefits, growth opportunities and a choice of day or night shift.